Christmas shopping starts as early as October. But I personally enjoyed holiday shopping for myself when I'm done wrapping gifts for my friends and family. 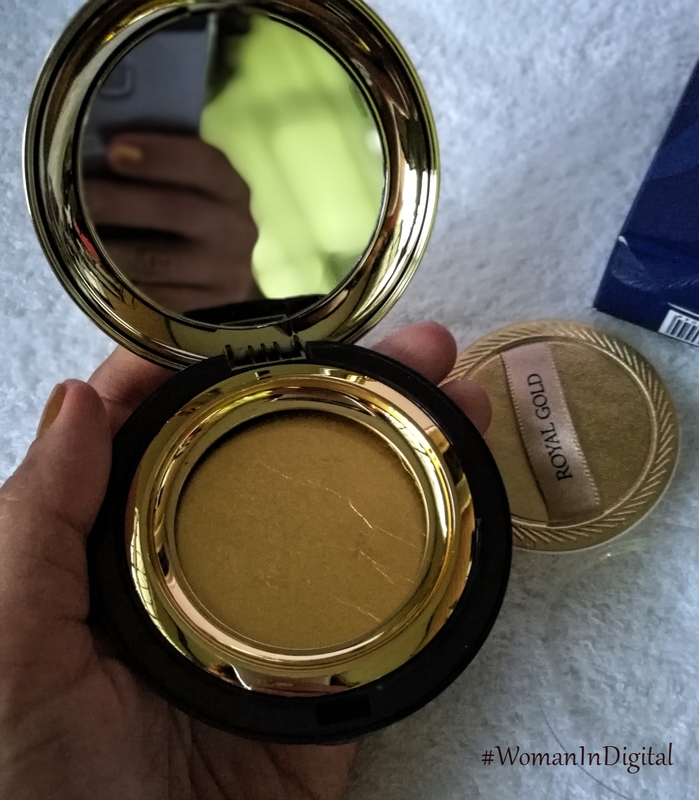 I usually buy my favorite products on year-end sales, true enough it's one of the best time to shop as most items are on sale. I'm a fan of online shopping. It makes life easier because I save time, effort and money. But I also understand others who have fear and not comfortable using their credit cards to shop online. Others had a bad experiences as well. The only thing I can suggest to all my readers is to make sure that the shopping site is legitimate. You can also ask a friend if they have the experienced shopping for a particular site. 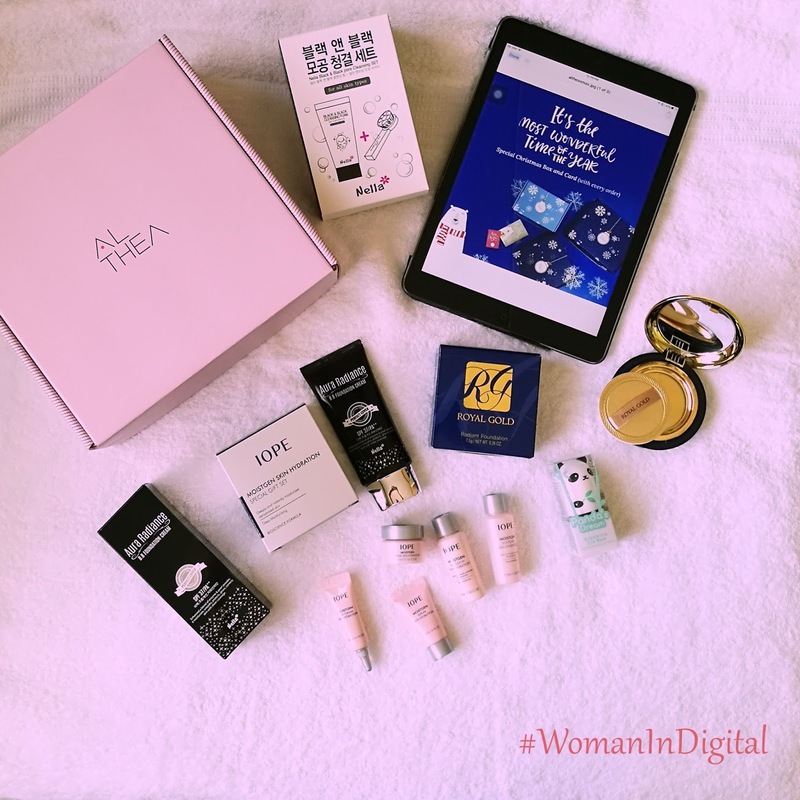 Visit blogs, like woman in digital, lol! Anyway, I find online shopping fun and efficient. I don't have to brave the traffic and endure long line in malls. One of my favorite online shopping sites is Althea Korea. 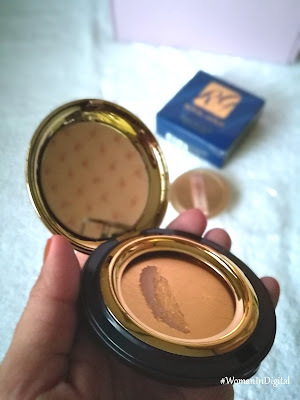 It's an online authentic Korean beauty store that sells beauty products at affordable price. It even shipped products to the Philippines fast. They promised 10-15 days delivery but based on my experience it would only take a week or less than 10 days. I've been shopping for quite sometime at Althea Korea. 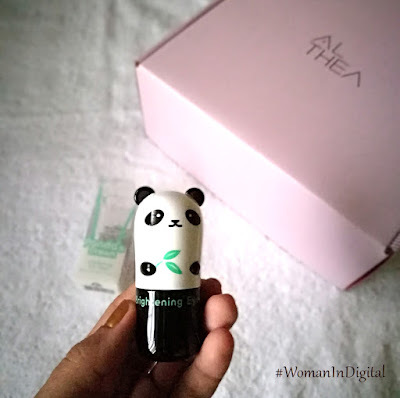 Some of my favorite products ordered from Althea includes Laneige and Innisfree. This Christmas, Althea Korea gave us more reasons to do my year-end shopping. 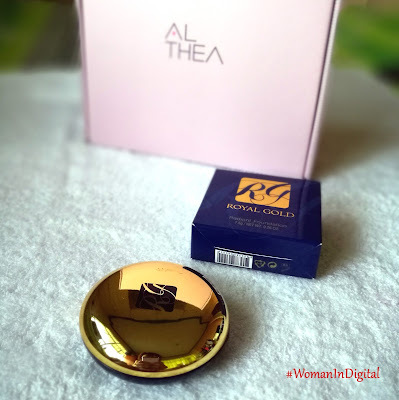 First, Althea has released Althea limited edition Christmas boxes. Second, there are lots of giveaways. Althea Korea started giving away freebies as early as November. 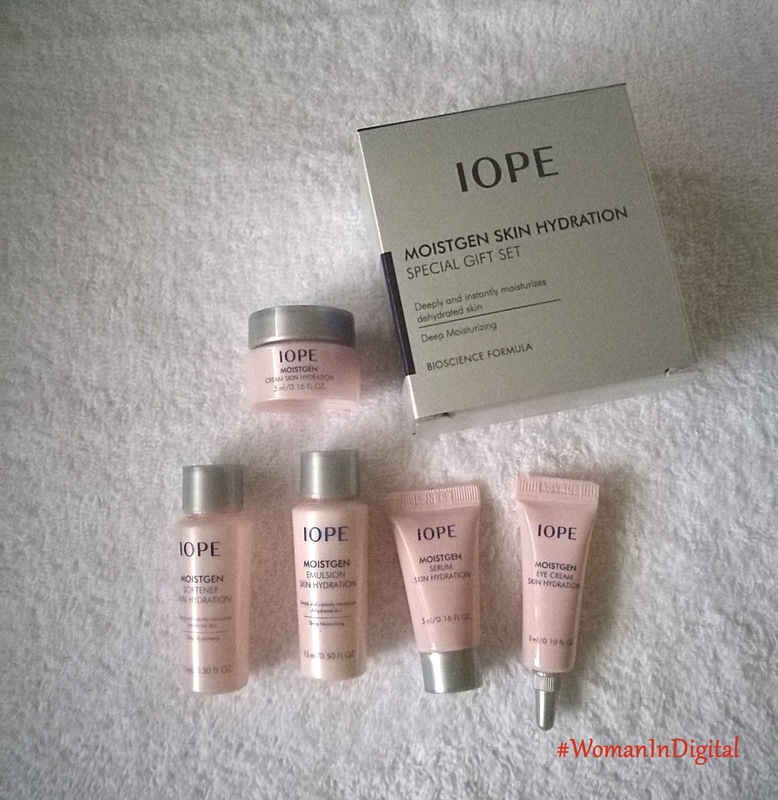 I did my early Christmas shopping then and scored this IOPE Moisten Skin Hydration for FREE! IOPE is a popular skin care brand in Korea. 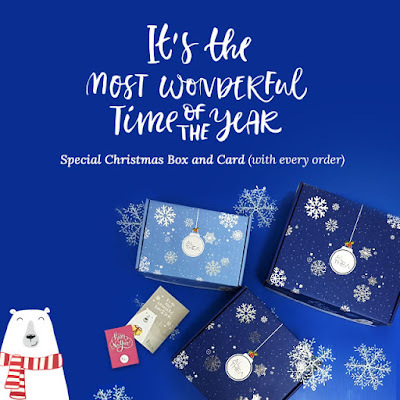 Third, because it's Christmas, they have this festive promotions. Last but definitely not too miss is the launch of Althea Mobile app available in both AppStore and Google Play. Here are the items I recently bought using the Althea Mobile App. One of my favorites is the Nella Black and Black Pore Cleansing set, (P960 to P360). I enjoyed washing my face but I only use it every other day. 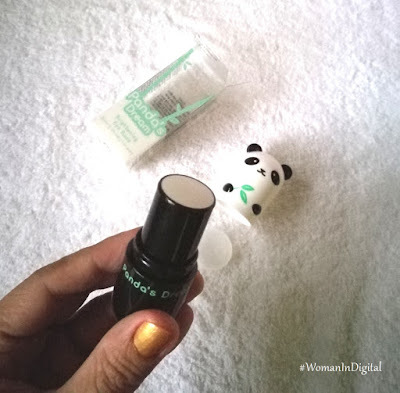 It has soft and round facial brush for sensitive skin. 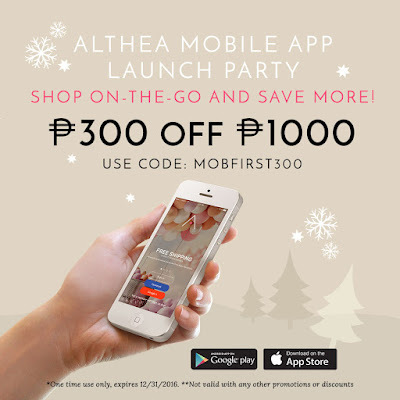 All Christmas year end promos can be found here http://ph.althea.kr/year-end-promo. Download the Althea Mobile app now and use the code MOBFIRST300 to receive P300 off, code will expire on December 31. Althea Korea delivered my products in no time. Best of all the items are always shipped in good condition. 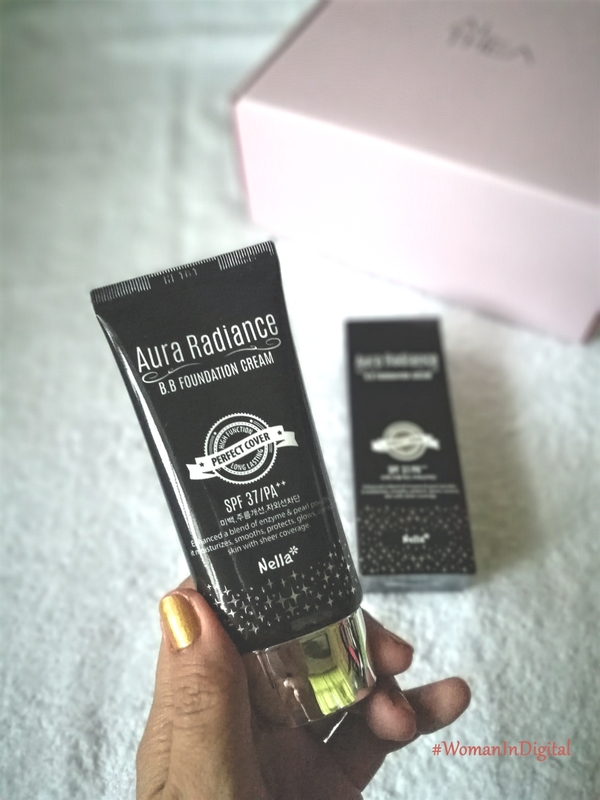 I'm so glad I discovered Althea Korea.